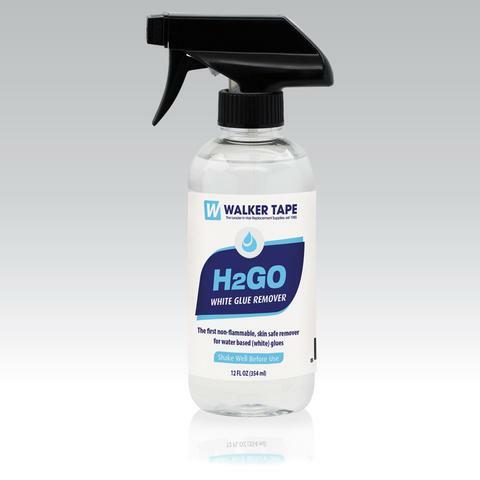 Walker designed its H2GO product to easily remove white liquid adhesive residue, while also placing an importance on safety. Water-based liquid adhesives are skin-safe, so Walker made an adhesive remover that didn't compromise that safety and put your skin at risk. H2GO is the first non-flammable adhesive remover on the market. Many adhesive removers use harsh chemicals that are not only flammable, but also unsafe for your skin. Walker's H2GO formula alleviates any of those concerns, and it has a pleasant scent that's easy on your nose. This adhesive remover solution must be shaken before use, and then sprayed onto your system or skin. After allowing it to sit for up to 10 seconds, you can begin removing the adhesive residue. We recommend using an exfoliating mitt to make the process easier. Saturate the glue area with H2GO and let it sit for 5-10 seconds. As it softens, start removing the adhesive. Repeat this process as needed until the skin and unit are clean. Dihydrogen Monoxide, Proprietary Blend of Surfactants, Proprietary Blend of Lemon Extracts.